Are you, or someone you know facing the challenge of embarking on a new career? It is so important to have someone cheering you on and guiding you in developing effective strategies. In this book, seasoned career counselor/coach Halimah Bellows provides the tools you need for becoming your own career champion. With empathy and enthusiasm, she will inspire you to delve deeply and honestly into your experience to discover the career path that is right for you. Intuition, Innovation and Impact is the complete grow your intuition roadmap. It shows you how to use your intuition, step by step. It’s THE resource for coaches and others who wish to empower their clients to use their intuition. Want to achieve big dreams, goals and ambitions, but are challenged (and frustrated) by limited energy, time or other limitations? 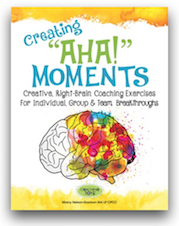 This hands-on workbook will inspire and motivate. Slow and steady wins the race!